If you have a chance to measure it would be great. By one of the outlets, you mean the secondary connection from the header to the muffler? Certainly seems like the 42mm HE's support a good HP number! Re outlets, yes correct, one flange wasn’t flush with the muffler inlet. Can you share some info on the velocity stacks air filter setup? Is that available off the shelf or custom made? And when you used the 964 plenum, where did you source the air filter setup? Gamroth? Stacks come as part of the kit with the ATPower setup. Rothsport wouldn’t sell me the filter setup on its own, so we had one made. The filter is available off the shelf. Mine is available for sale - plenum, resonance tube, vacuum activator, filter and the legs that join the plenum to the flange with the heads. You’d need to sort the 2 bolt adaptors for the legs to mate with - I think Jenvey may do them, or turbokraft. Interesting - the older US-made SSI's I have hanging on the wall have secondaries that measure a few mm smaller than that, maybe 52-53mm OD. 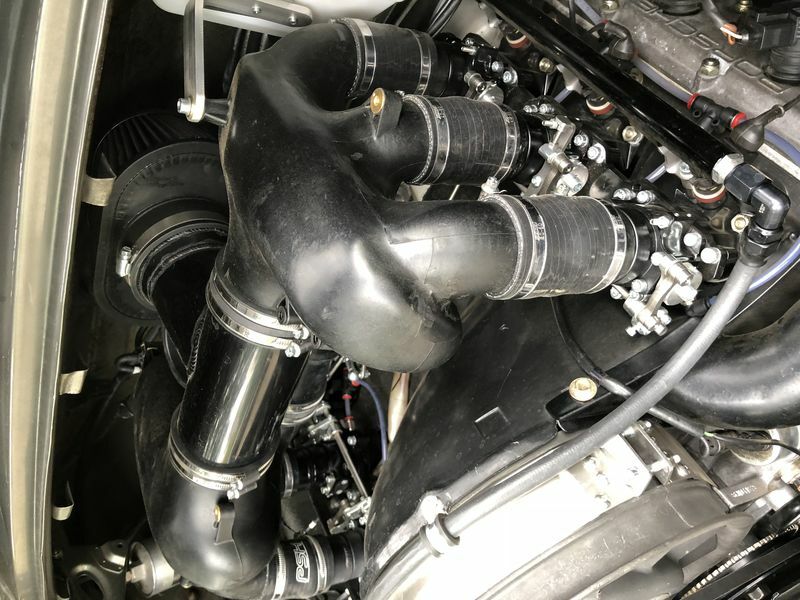 The Dansk stainless muffler bolted to them has inlet tubes that are exactly 50mm OD. Would be interesting if the eisenmann muffler has matching inlet diameters. Great set up! Do you recall how much ignition timing in total is being used at WOT? 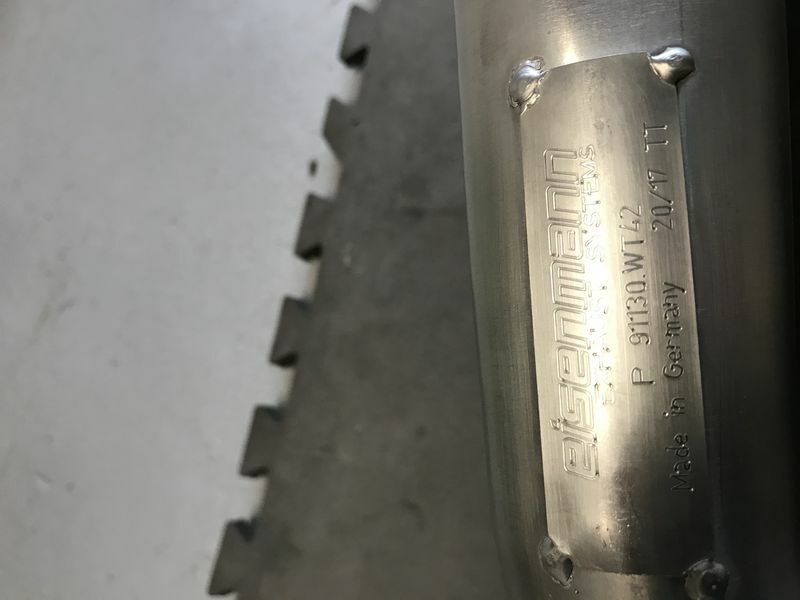 Part number P91130.WT42 is correct for the Eisenmann HE's? Waiting on a shipping quote for them. Nope that's perfect, thanks!!! I understand the difference with the G series model. Pics on their website aren't 100% representative. The pics of yours and the pic of the part number are especially helpful, thanks again. Sounds fantastic in the videos. I see that ATpower makes 911 itb's in 42 or 45mm. Which did you use? Did it match up well to the plastic plenum? 45mm as they taper to 42mm at the heads, optimal for 3.2 heads; some mild port matching was also undertaken.